Clare Gallagher made a last-minute decision to run a 50-miler while abroad in Asia -- and realized she loved ultrarunning. Overnight sensations are rare in ultrarunning, but if ever there was one, it's Clare Gallagher. The 27-year-old Boulder, Colorado, resident burst onto the scene in 2016 when she won the Leadville 100 -- recording the second fastest women's time ever. Since then she's continued her winning ways, and as her reputation has grown, she's taken advantage of her platform to advocate for environmental causes. 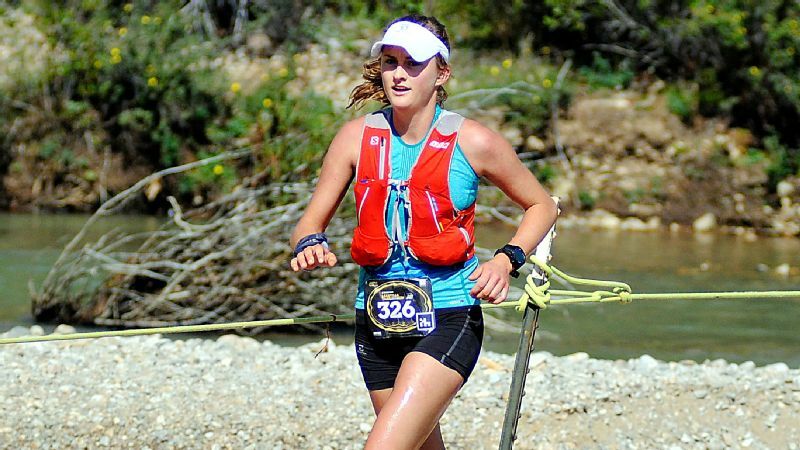 While Gallagher is a relative newcomer to ultrarunning, she is a lifelong runner. "I ran in college at Princeton and did just fine, but I had an unhealthy relationship with the sport," she says. "After graduation, I went to Thailand to take a break from running and to teach English." During her time in Asia, Gallagher found her way back to the sport, running through the natural beauty of Thailand, a departure from her days on the track. In 2014, when she heard of a 50-mile race in the Golden Triangle region (the area where the borders of Thailand, Laos and Myanmar meet), she made a last-minute decision to enter. That's when ultrarunning put its hooks in her. "After I got back to the States, I connected with the Rocky Mountain Runners and ran a few 50Ks," she says. Then came Leadville, a distance twice as long as the farthest Gallagher had ever covered. "Everything just fell into place that day," she says. "I realized that long ultras suit my strengths, whereas my running in college really didn't." Trail running, says Gallagher, connected her to wild places in a way that the track and roads didn't. "It gave me permission to explore on foot," she explains. "When I came back to Colorado, I got into full-on mountain running and it hit me: This is awesome." Her coach, David Roche, says that Gallagher brings something extra to the sport. "Clare runs with a passion that I think is best described as life force," he says. "She gives all of herself to what she's doing. And she is the same way in life." 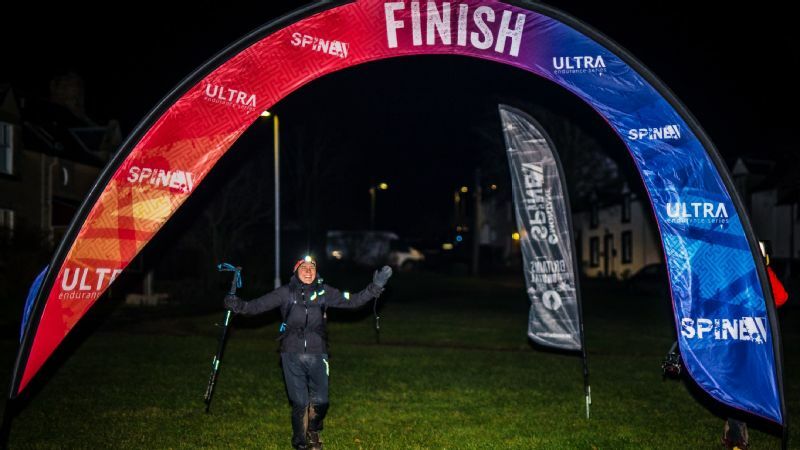 Post Leadville, Gallagher went on to win the prestigious CCC 100K race during the Ultra Trail Mont Blanc weekend in 2017, and her street (or trail) cred was set. Gallagher became an instant media darling in the trail running world and was quickly offered sponsorship by The North Face. That's also when she recognized she had a microphone -- and she could use it to help the earth. Gallagher has found the trail running community to be receptive to environmental causes. Gallagher's major at Princeton was biology, with a drill down into coral reef ecology. During an internship in Bermuda, she explored the impact of ocean acidification on coral reefs. "It's a steep learning curve," she says, "but the science is fascinating." These days her advocacy extends beyond coral reefs, and she says that the trail running community is an obvious place to energize fellow environmental warriors. "If being out on the trails is the favorite part of your day, how can you help improve the areas where you run?" she asks. Gallagher encourages her fellow runners to lessen their environmental impact through a variety of avenues. "We can all make choices in small ways like recycling, buying organic, electric cars and the like," she says. "But we can make the biggest change by choosing who we put into political office." 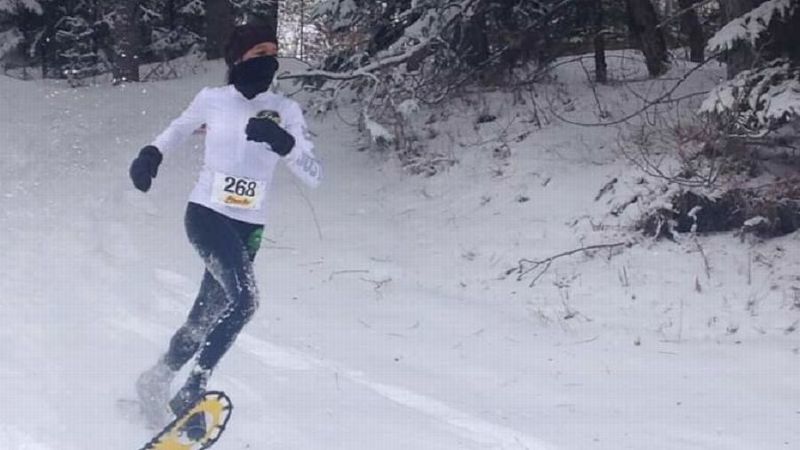 She has also teamed up with Protect Our Winters (POW) Trail to engage the trail running community in environmental action, and in any given month, you might find her testifying in front of Colorado's legislators. "It's an exciting time and there's a lot happening," she says. One of her favorite methods of combining her trail love with protecting the environment has been spreading the word and participating in the Running Up for Air race series. With several events around the world, the RUFA races raise money to support improved air quality, and Gallagher is a visible, engaged athlete for the series. In 2016, Gallagher won the prestigious Leadville 100 -- recording the second fastest women's time ever. In a testament to both her activism and budding starpower, Gallagher also recently signed on with a new sponsor, Patagonia. "The more I learned about the company's practices, the more I respected it," she says. "This is a life-changing opportunity for me." The company says it hired Gallagher on in a new role, as a global sports activist. "Clare, by her very nature, is the highly motivated athlete and environmentalist we need to lead change toward saving our planet," says Justin Roth, global marketing manager. Wearing her new sponsor on her sleeve, Gallagher is looking ahead to a busy year of racing. First on the docket will be the Western States 100 in June. "The last time I ran it, I had to DNF at mile 93 due to knee issues, which was heartbreaking," she says. "I'm excited to go back." She'll also make appearances at a few of the Running Up for Air events that are specifically designed to raise money in support of improved air quality in the west. Gallagher has yet to map out the second half of the year, learning that not having post-Western States plans works best for her. Regardless of Gallagher's running plans, one thing is for certain: She's going to make the most of the spotlight she's earned. "It's frustrating to me that the environment often ends up on the backburner," she says. "We need more activists, and for my part, I am going to continue talking about it constantly."